I am a proud reader of ROMANCE of any kind, from paranormal to erotica and anything in between! I love finding new to me authors and have just this year begun writing reviews mostly on Amazon, sometimes Goodreads. I also LOVE giveaways and freebies! 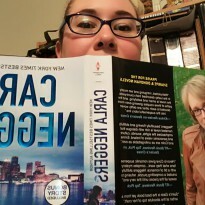 Carolyn Cannot Live Without Books!